After months and months of purchasing supplies and putting together, Max gets a 15×60 foot run area. I basically put it all together myself except for about 5 hours of help from a good friend and 5 hours from my cousin. I couldn’t have done it without these two people. Putting in post holes by myself was a killer but I prevailed and so happy I could provide this area for Max. Here are some photos. On May 4, Max turned 6 years old. 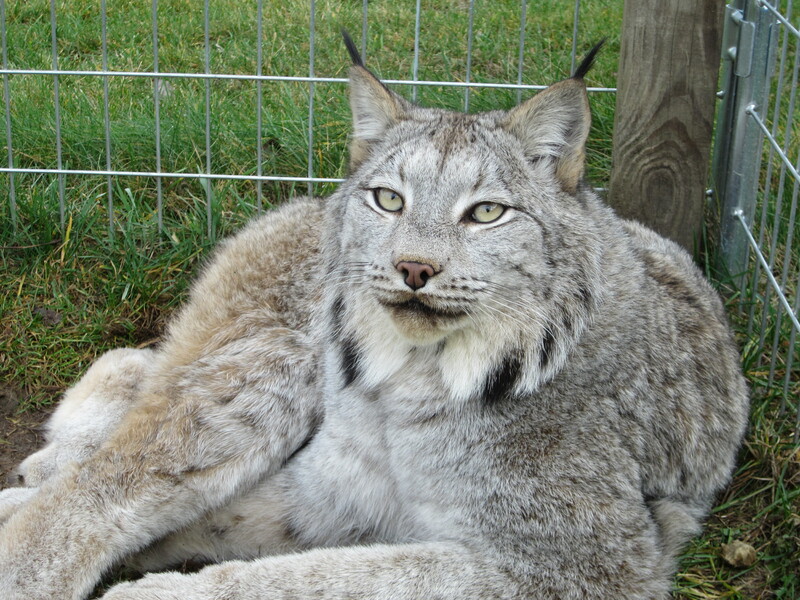 I posted a montage video on our Wildlife Bernie YouTube channel titled “Max Canada Lynx, the Life of.” Check it out! Here’s a few birthday photos of the boy as he sheds his thick winter fur and a few yesterday after I gave him a box to play in. Here’s a few pics of the Max Lynx in early February. Just a day of cleaning and being with my boy Max. After reviewing the shelving in Max’s enclosure, I knew that it was time for replacements. I thought rough-sawn wood to give him grip when it got wet. It was too rough and after painting & installing, I had to sand it down just a bit to his liking. Some of the wood that I had initially used was eight years old and had held very well over the years, but it was time to upgrade. I do have some rust issues because of him urinating out the cage thus rusting the wire and that’s next to be fixed. Here are some before and after photos. While we were presenting a program in Stony Creek, Max was given a donation to be put towards some special food he loves. Well, he now has four Cornish Hens thanks to Doreen Ryan of Stony Creek, NY. Of course I will span them out over the next six months. 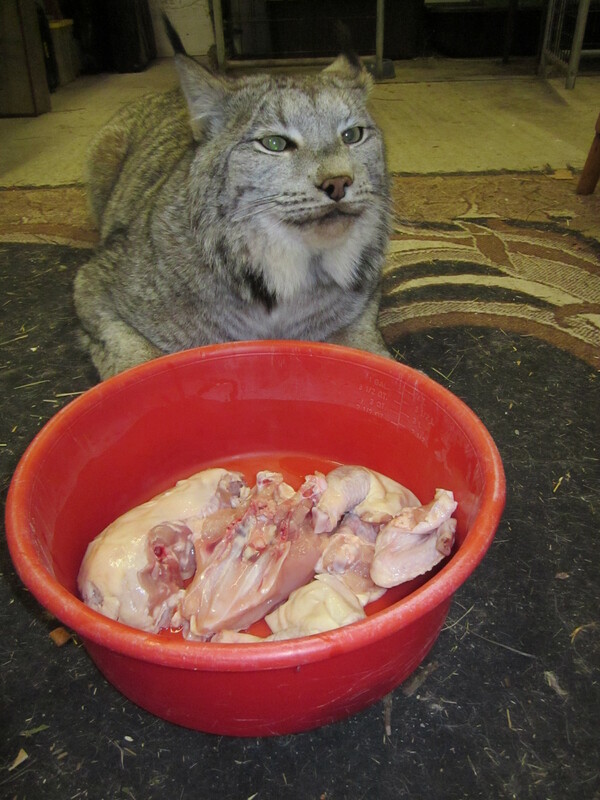 Max received his first hen on February 17. I needed to cut the hen according to his specifications with the wings and legs being removed and then the body split between breast and back. Before I could put his dish in his cage, he grabbed the back and began crunching down on it. Mind you, I could not get close to him until he finished. I sat and filmed him eating his tender morsel. Once he finished I was able to get past him to secure the dish on his shelf. And here’s a photo of him looking over his wonderful special meal. Here’s wishing everyone a Happy New Year!